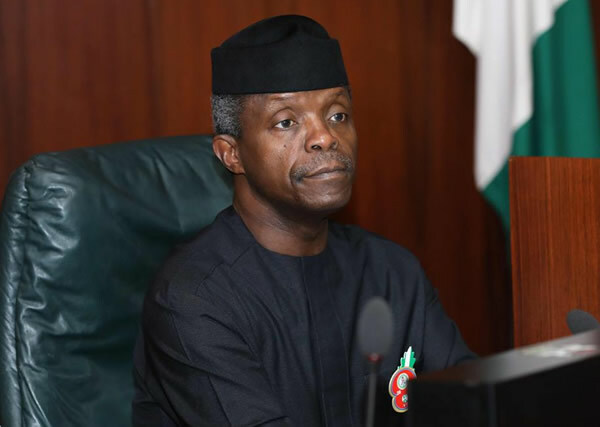 Souther Kaduna Crisis: Osinbajo meets community, religious leaders – Royal Times of Nigeria. Acting president, Yemi Osinbajo is currently meeting with community and religious leaders from Southern Kaduna, according to his senior special assistant on media and publicity, Laolu Akande. The meeting which is holding at the Kaduna State Exco Chambers is believed to help find a lasting solution to the crisis in Southern Kaduna. Present at the meeting is the Kaduna Governor Nasir El-Rufai, leaders of the Christian Association of Nigeria (CAN), Jama’atu Nasril Islam (JNI) and representatives of the Miyetti Allah Cattle Breeders Association of Nigeria (MACBAN). Akande tweeted; “In Kaduna, Ag. President Osinbajo with Gov. Rufai now meeting with community & religious leaders from S’Kaduna. He was earlier @ airport,”.